Plenty of inspiring wedding cake ideas for brides that are looking for a square white wedding cake with green trimming! 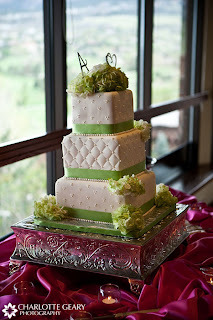 Four tier embossed white wedding cake with gorgeous apple green icing trimming separating the tiers and red roses on top. 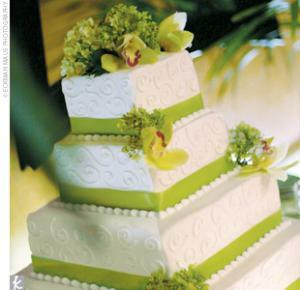 Elegant multi-tiered white square wedding cake with green ribbon trimming and fresh white orchids on the top. 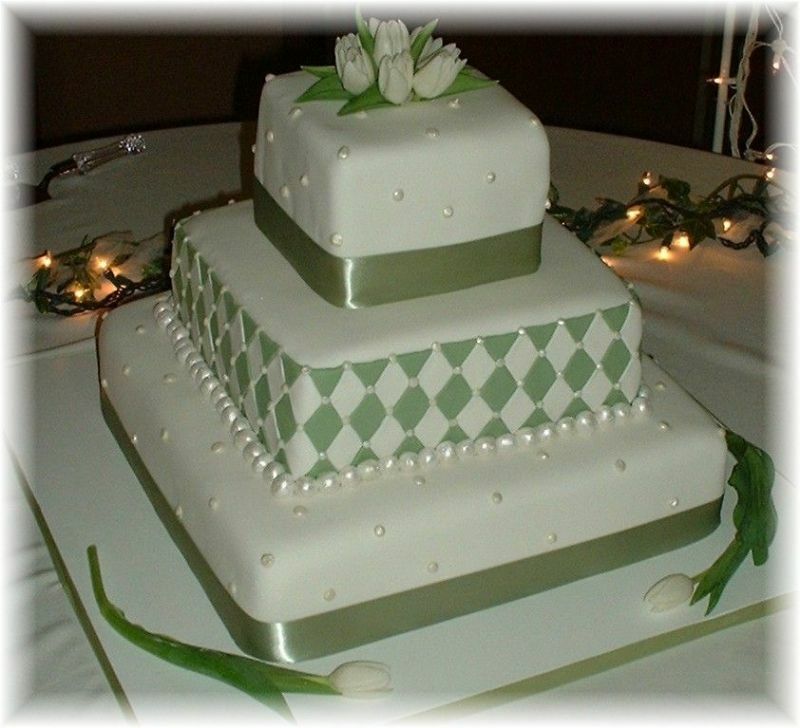 Elegant square white wedding cake with green ribbon trimming and green orchids cascading down one side of the cake. 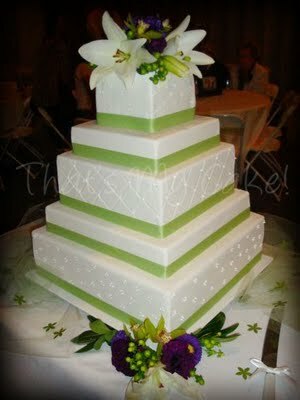 Beautifully decorated icing on white four tier cake with green orchids and green ribbon separating the tiers. 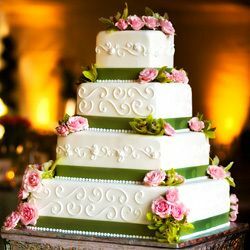 Amazing four tier wedding cake with fresh roses and green trimming. 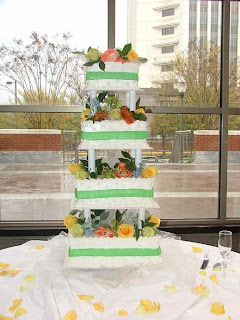 Tiers are separated with columns. Quilted white icing three tier square wedding cake with green trimming. 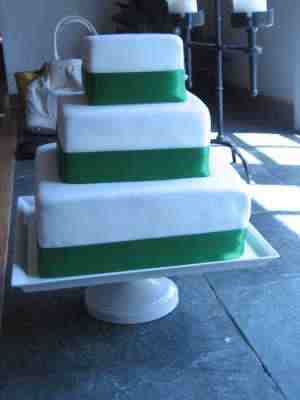 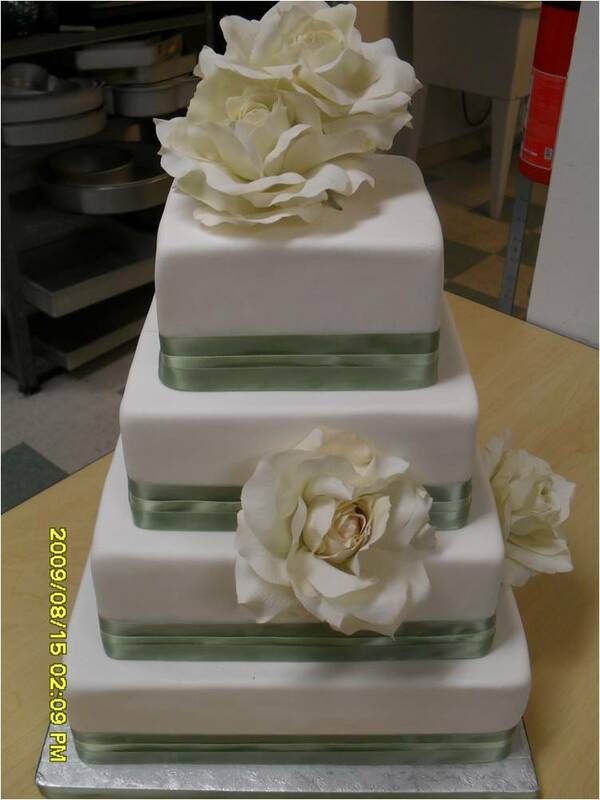 Lovely green diamond three tier wedding cake. 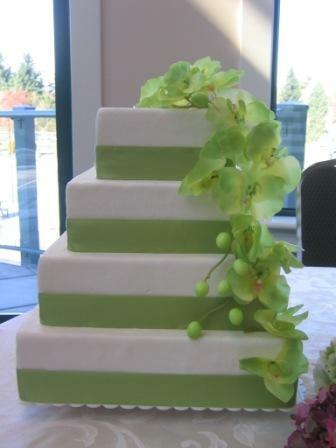 Simple square wedding cake with green trimmings. 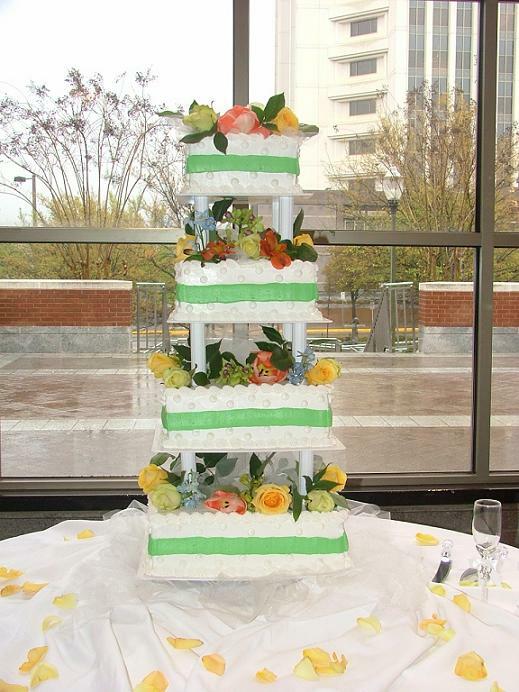 Pastel opaque green satin ribbon trimming on white wedding cake. 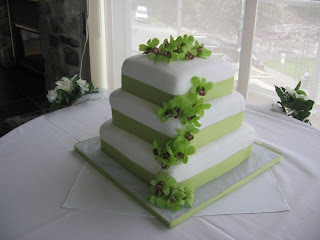 Vivid dark green satin ribbon on simple white icing wedding cake. Superbly elegant and charming four tier wedding cake with dark green ribbon trimming and small pink roses.